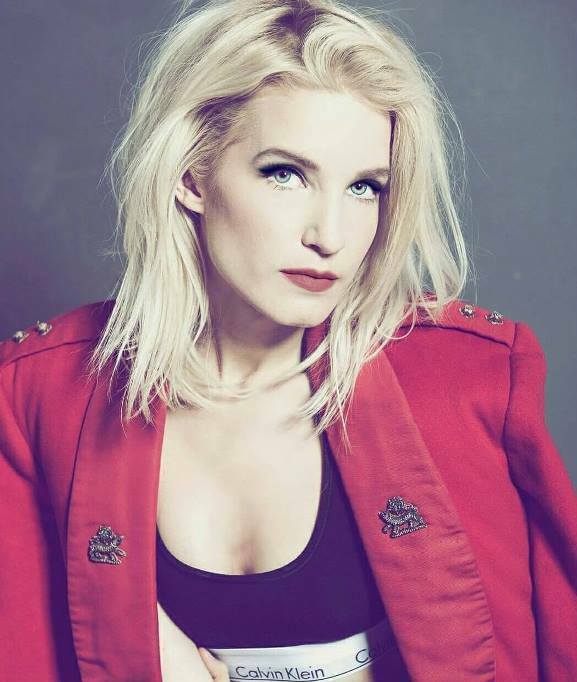 Since her debut single ‘We Are The Wild Ones’ in 2013, Berlin-born songstress NINA has grown in profile and stature. 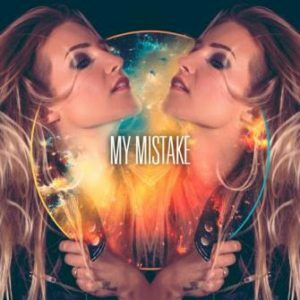 Support slots with ERASURE and DE/VISION followed in 2014 but it was her cinematic second single ‘My Mistake’ that was to become her breakthrough. Picked up by Mercedes Benz, the song featured on an advertisement that played throughout Europe. 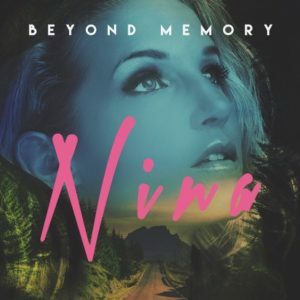 2015’s synth laden cover of BLONDIE’s ‘Heart of Glass’ kept the momentum going, but new material arrived in the shape of ‘Beyond Memory’ in 2016. Produced by Richard X, best known for his work on SUGABABES ‘Freak Like Me’ and RACHEL STEVENS ‘Some Girls’, the tune takes NINA’s own brand of pulsating electronic pop into nocturnal territory, with her vocals deliciously slicing the moonlit atmosphere with a superbly breathy chorus. How would you yourself describe your sound? My sound is melancholic, dreamy and Paradise longing synthpop. Many artists move to Berlin but you moved away from the city? I moved to London over 13 years ago. Berlin was quite different back than (2004), especially the music scene. I guess I was a bit bored and wanted to explore a new world and really dive into the British music scene. However I’m a real ‘Berliner’ at heart and always will be. I guess you could say I never really ‘moved away’ from Berlin, as I fly over several times a year. I’m in between and got the best of both worlds. Which artists particularly influenced you musically? A lot of British artists like QUEEN, DEPECHE MODE and DAVID BOWIE but also growing up listening to German synthpop and new wave artists like ALPHAVILLE, KRAFTWERK and NENA. How would you describe your composition and production process? It varies but normally I come up with the concept and set the mood first. I write down whatever I feel. It can be moody, melancholic or abstract. Dreams, travels, fear, tears and the past inspire me. I then get together with my drummer Lau and decide what production we’re going to go for. We have an incredible network of producers like Oscillian, Sunglasses Kid and Richard X, so we tend to collaborate quite a bit with them. What is the story behind ‘My Mistake’ getting picked up for a Mercedes Benz advert? Mercedes Benz interviewed me for their blog M! a couple of years ago and they loved what I was working on and were very supportive. About a year later, my publishers Aztec Music Publishing sent the track to an agent (DMS) who was looking for music for the ad and it got chosen. The campaign was just renewed for another year, which is great. You’ve shared a stage with German veterans DE/VISION and Marcus Meyn from CAMOUFLAGE, do you feel any spiritual affinity with bands from this past era? Oh yes! We share the same passion. Music connects people like nothing else. I really admire all they have achieved. Watching them perform is very inspiring and I really take everything in. My favourite DE/VISION song is ‘Where’s The Light’ and I love CAMOUFLAGE’s ‘The Great Commandment’. You also supported ERASURE on their US East Coast tour in 2014, what was that like? Incredible! It’s been 3 years and I still can’t believe I actually toured with them. I wish I could do it all over again. Andy Bell is a fantastic performer and a lovely person. One thing you have in common with ERASURE is that you have both covered BLONDIE’s ‘Heart Of Glass’; what made you choose that song in particular? Well, ‘Heart Of Glass’ is my favourite BLONDIE song. I’m always quite mindful about recording a cover, as I want to show people who I am as an artist and make sure I put my own twist on it. I decided to slow it way down and make it quite emotional. I’m glad it was so well received. Your most recent single is called ‘Beyond Memory’, what is it about? ‘Beyond Memory’ is a very personal song. It’s about failed relationships and the void you feel after a painful breakup, which really can make you lose yourself. We’ve got lots of songs ready, so I’m very excited. We’re releasing a new single first and the debut album probably sometime in 2017. You recently had a discussion on Facebook about whether your drummer should use an electronic or acoustic kit. Why the dilemma? We just wanted to hear the fans views. We’ll soon be incorporating some acoustic drums to her electronic kit. It’s all about finding that beautiful balance of sounds for the live shows. My new single EP is out around February time via Aztec Records / Metropolis and I’m so excited for everyone to hear it. It will include a few awesome remixes too. The single is about not quite conforming to what society expects from us. I will be announcing more details very soon. I’m also super excited to play at ‘Synth-Pop Goes Berlin’ on February 17th and the ‘Synth Wave Live’ festival in London on April 1st. NINA headlines Synth Wave Live on SATURDAY 1ST APRIL 2017 at Zigfrid von Underbelly of Hoxton in London.